Country Pop fans get ready for the time of your life! As the greatest line-up takes to the stage this coming summer at Budweiser – it's the place to be! Thomas Rhett, Dustin Lynch, Russell Dickerson & Rhett Akins are all coming LIVE on Thursday 11th July 2019, to perform an incredible, jaw dropping show! What better way to spend your evening then catching the hottest entertainment all in one place?! Tick this off your must-see list & book your tickets today! As one of the most popular artists on the scene right now, Thomas Rhett has shown he has what it takes to succeed in music and keep rocking it throughout the years. With his groundbreaking song releases, Rhett has always given a varied soundscape from his pop infused tracks to his much loved Country songs. This superstar has given his fans three studio albums including his 2013 release, It Goes Like This, his 2015 – Tangled Up and his most recent release of Life Changes, in 2017. On these unforgettable records, he has taken over the charts effortlessly with hit singles from each one of his albums, in total they have produced seventeen singles that have rocketed on to the Hot Country and Country Airplay charts. His hit number one singles includes the likes of; "It Goes Like This", "Get Me Some of That", "Make Me Wanna", "Crash and Burn", "Die a Happy Man", "T-Shirt", "Star of the Show", "Craving You", "Unforgettable", "Marry Me", "Life Changes", and "Sixteen" – just to name a few! As well as Thomas Rhett's popular solo career, he has also collaborated with some amazing bands and vocalists, all on the similar music scene to himself. He has shown off his song-writing abilities and has written for the likes of; Jason Aldean, Florida Georgia Line, Lee Brice, Michael Ray, LoCash, plus so many more. All of these may come as a surprise for fans who didn't know, but this singer-songwriter does have a few surprises up his sleeve, with his ever humble career path to bring music to the world, in every shape and form. Now for 2019, Thomas Rhett is about to hit the road and bring his own songs in all their glory to the live stage. 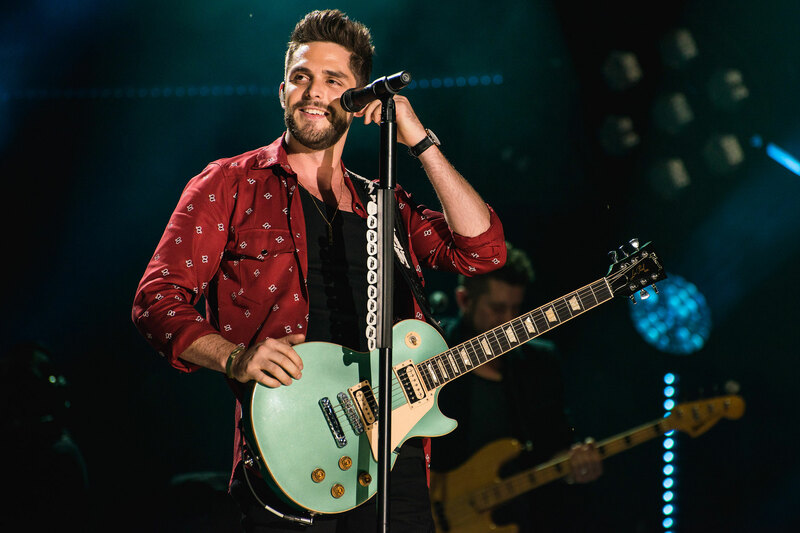 This summer concert season be sure to put Thomas Rhett on your must-see list as he also takes with him some special guests such as Dustin Lynch – it's going to be a night to remember!